Counteract the perception of distrust with education and messaging. Few doubt the importance of trust in the success of a contact center. It is one of those foundational elements that may be difficult to isolate, but it has an impact on nearly every measured result. Agents need to trust in their leaders, to believe they are not only competent but will take agent perspectives into account when making key decisions. And leaders need to show trust in the staff they hired to perform the critical job of serving the customer. While leaders typically have ample trust in their staff, lunch room conversation confirms that doubt persists. The disconnect can be traced back to the reality of a contact center environment. Our real time, high-volume, customer-facing operations demand practices that, to the uninitiated, could easily be misconstrued as evidence of distrust. It is this perception that requires correction, and to do so requires improved messaging with three key contact center practices—scheduling, adherence management and quality monitoring. Enter the choreographer. It is important for agents to understand that other professions—highly skilled, highly respected professions—require that team members work in unison to achieve success. A dance troupe is a great example. No one just hires dancers and then sets them loose to do their own thing. Instead, a choreographer details every position where every dancer should be, for every second of the performance. And the dancers? They never question the need for choreography. Sure, they may have differences of opinion on certain moves, but no professional dancer would ever suggest that the need to coordinate movements makes them feel like they are not trusted. The message, in fact, is quite the opposite, and that is exactly the message we need to convey to new agent: It is because we trust you that we go to such great lengths to put these schedules together. Think about it—if you thought for a minute that the staff couldn’t follow the schedule, why would you go through the substantial forecasting and scheduling effort in the first place? Like the choreographer, we make this effort because we trust that the plan will be followed by the professionals we hired. But we need to say this out loud, and we must say it often, or the message will not get through. Enter the Air Traffic Controller. Of course pilots are highly skilled professionals. Of course they always file a flight plan. Of course they follow that plan to every extent possible. We also know, however, that flight plans cannot account for everything. Weather, instrumentation problems, mechanical issues—these and other factors are the difference between real life and the plan for a pilot. And sometimes these factors have nothing to do with your aircraft, but the affect they have on another plane may disrupt your plans. And that is precisely why we have air traffic controllers. When things go slightly awry, they are the ones with the full, complete picture. They are the ones that can make the right adjustments to keep everyone safe. They monitor all events closely, in real time, and keep the system operating at peak efficiency. In other words, they monitor adherence to the plan, and adjust when required. Sounds just like a call center, right? These are live environments, and some things cannot be controlled. Having a plan is simply not enough. What’s the message? We trust you to follow the plan. You can trust us to monitor everything and make the right adjustments so the team can succeed. Remember how that new agent felt upon first seeing a schedule? Now consider what it must be like the first time someone listens to the entire interaction you had with a customer and dissects it word for word. Isn’t it reasonable to expect them to question how much you trust their ability when you pick their work apart a few times a month? Enter the football coach. At the highest levels of the sport, every play is recorded and analyzed. Coaches will then sit down with the players and pick out various frames to go over. At times, the analysis is so detailed that the recording is advanced on a second-by-second basis, with focus on such details as the percent of weight distributed to the player’s right or left leg. So why do players call that great coaching, when some contact center agents complain that quality monitoring makes them feel confined and belittled? One key difference is that a football player sees the impact of individual effort on the team outcome. Missed a block? Quarterback gets sacked. Made a block? Running back gains 17 yards. It becomes easy for the player to trust that a coach’s critique is done for the good of the team, and not for any other reason. So it becomes our job to make this impact more visible to the contact center agent. Why do we ask you to capture an email address? Let’s have you sit with Marketing for half a day to understand what they do and how they can use that address to keep customers updated. Why is it so important to follow procedures completely when placing a caller on hold? Let’s spend some time going over customer satisfaction survey results, so you can see the impact that poor hold techniques have on overall customer satisfaction. These efforts provide agents with the visibility needed to trust the practices set forth by leadership. Left unaddressed, the overly monitored and hyper-critiqued agent will naturally question how much trust exists in the environment. Don’t take it personally. It is our day-to-day practices that raise the issue, so we have to counteract that with education and messaging that helps to explain our world. And yes, it is a necessary ingredient for success. 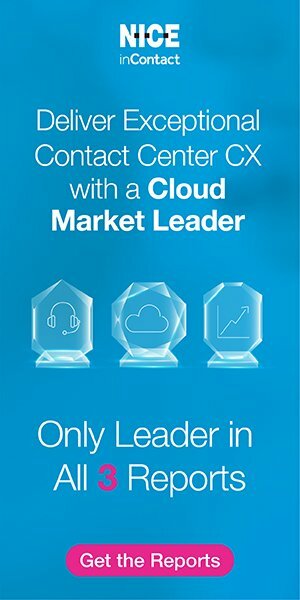 There is no such thing as a world-class contact center that is lacking in trust.